Here, you'll find examples of college trip itineries that you can create using Go See Campus. We'll be adding additional sample trip plans and features to this page, so check back soon or register to receive updates about new resources. 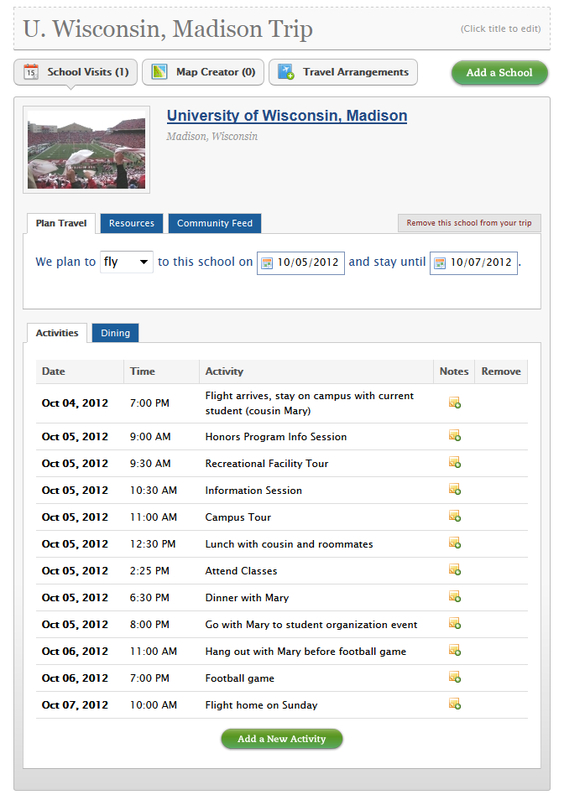 Copy this itinerary by clicking the links to each of these colleges and adding them to a new trip plan.